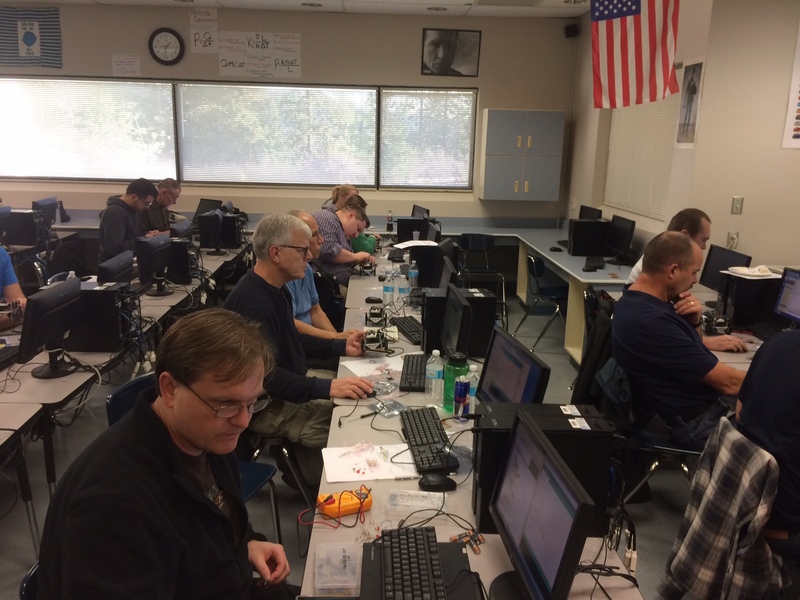 On Monday, December 15, Lakeside High School hosted a robotics Educator’s Course in Nine Mile Falls, Washington. 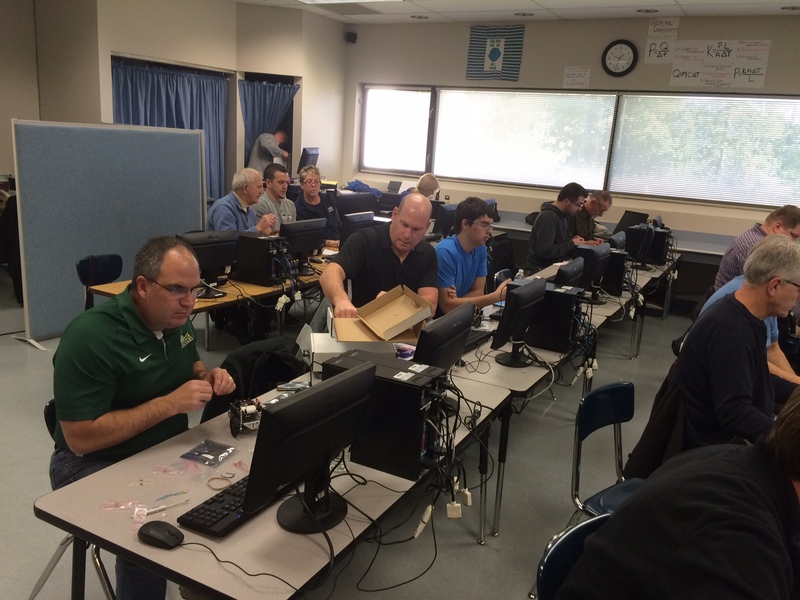 LHS Principal, Brent Osborn worked hard to provide free hardware and food for teachers attending this class. We had 20 teachers from the area, stretching all the way to Idaho. During this class we introduced the new ST EDU board and we were running robotics activities in parallel with the ST EDU and the BOE Shield. The boards are almost 100% compatible so everybody was able to follow along with the class, regardless of the board version they had. 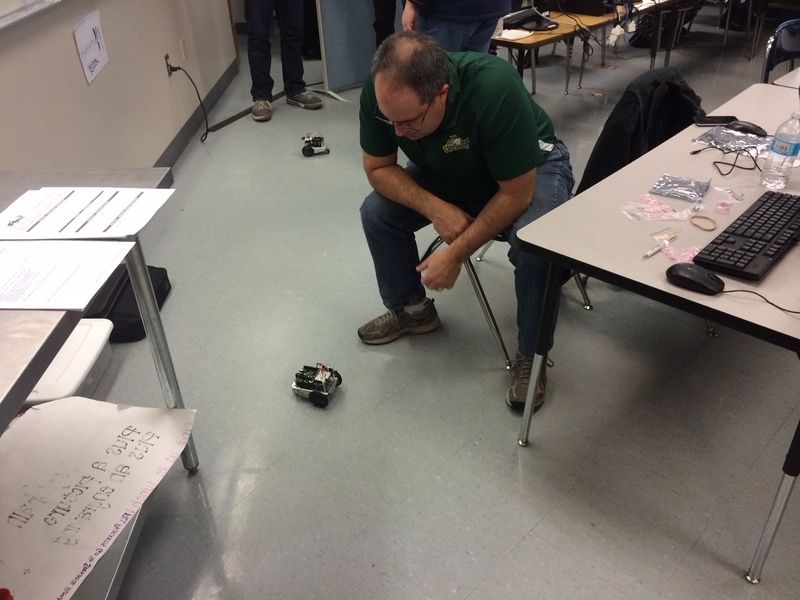 This class increased the interest in the upcoming robotics competition that Lakeside High School is hosting next March 14, 2015 (more information about Robotics Rumble 2015 in a future post). Schools attending this robotics competition receive a free robot. The competition is free to participate and the school provides free lunch to the students participating in the event. 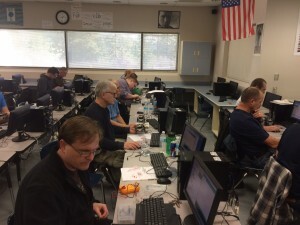 This entry was posted in News and tagged course, education, robotics by aalvarez. Bookmark the permalink.